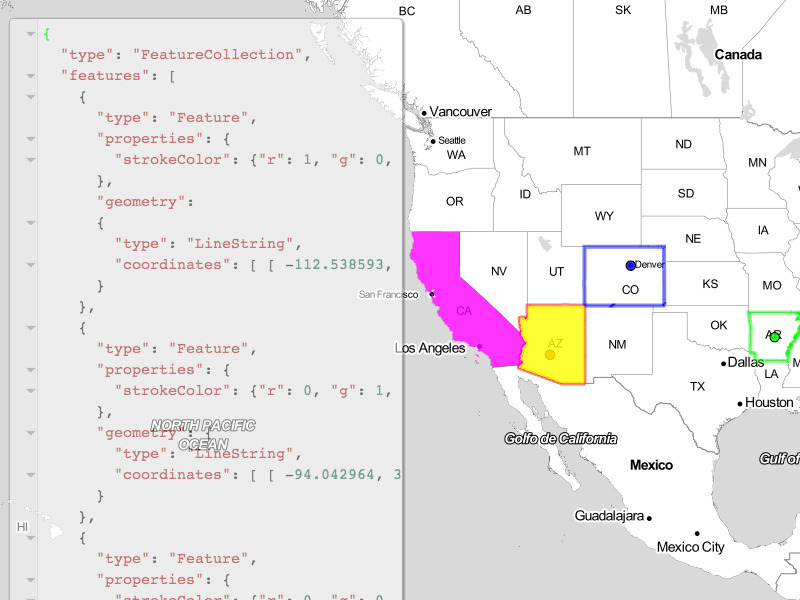 GeoJS has many features, some of which are shown off in these examples. Some of the examples are intended to showcase all of the options of a feature, such as the Tile Layer. 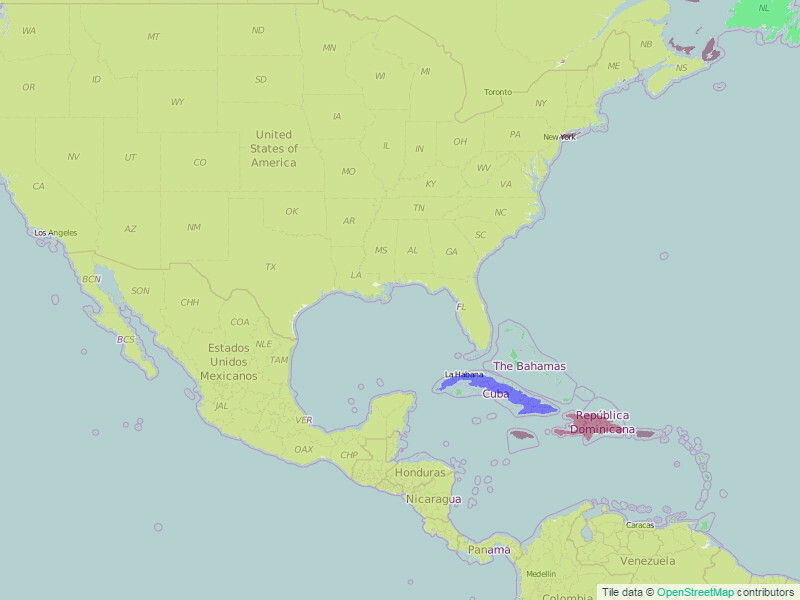 Other examples show how real data can be visualized, such as the Hurricane Tracking Data. Each example has commented source code. 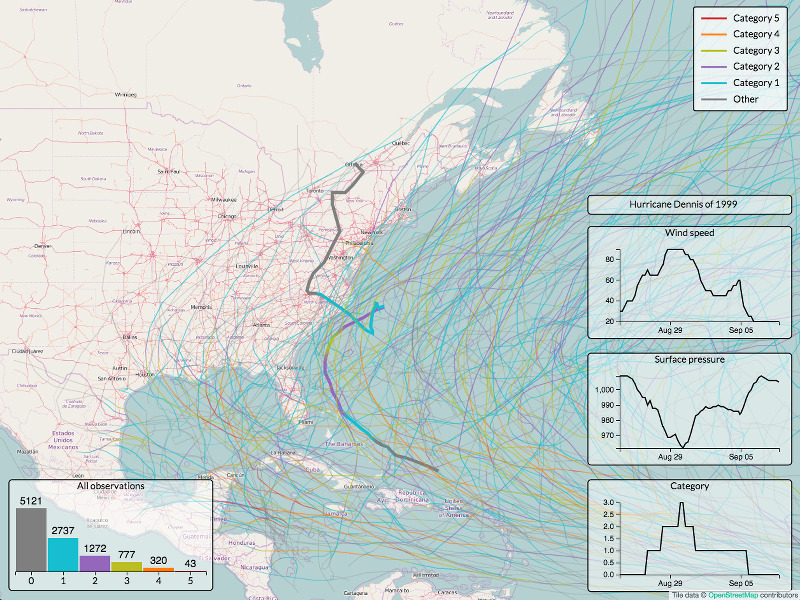 Explore historic hurricane paths since 1980 on an interactive map. This example shows how to animate features by updating styles. 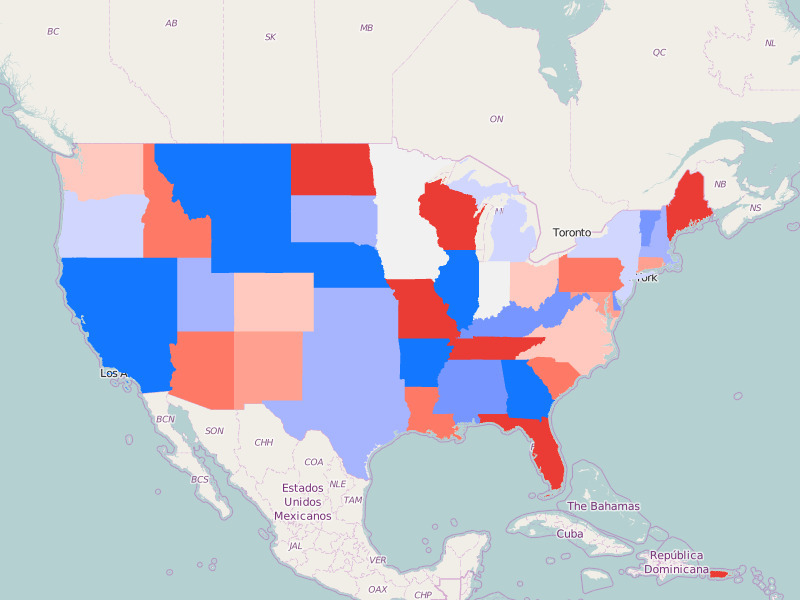 This example shows how to add choropleth features to a map. Choropleths color each region in a set of regions based on a scalar value for each region. 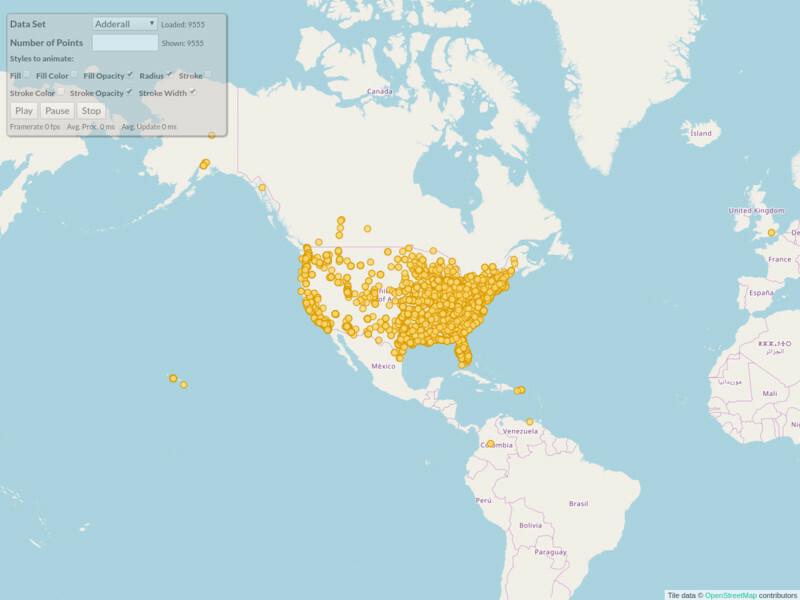 Cluster nearby points on a map. This example shows how to create a discrete or continous color legends. 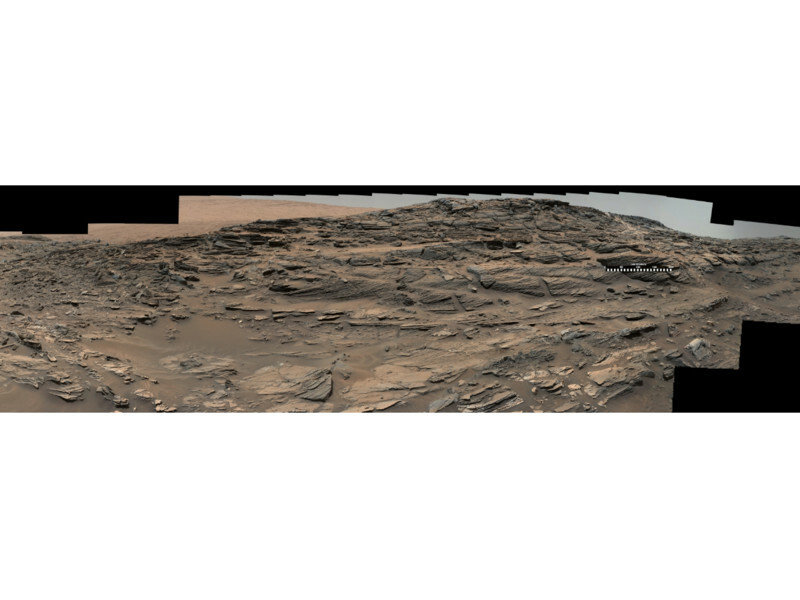 Rendering a tiled image using the Deep Zoom protocol. 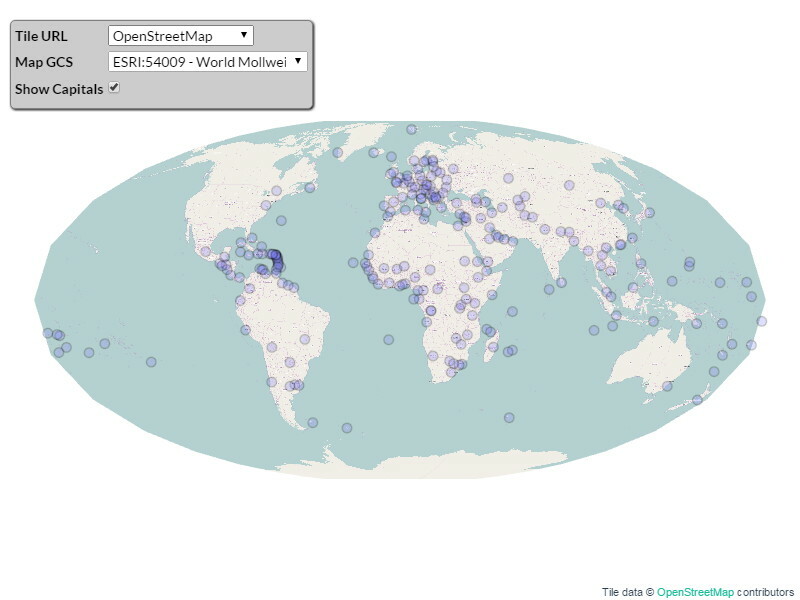 This example shows how to create a legend to describe feature styles on a map. 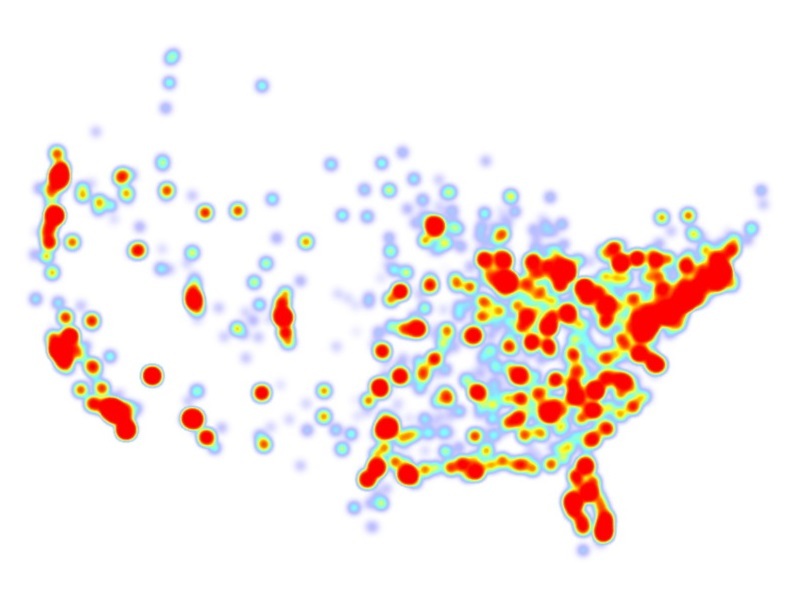 This example shows how to add a heatmap to a map. 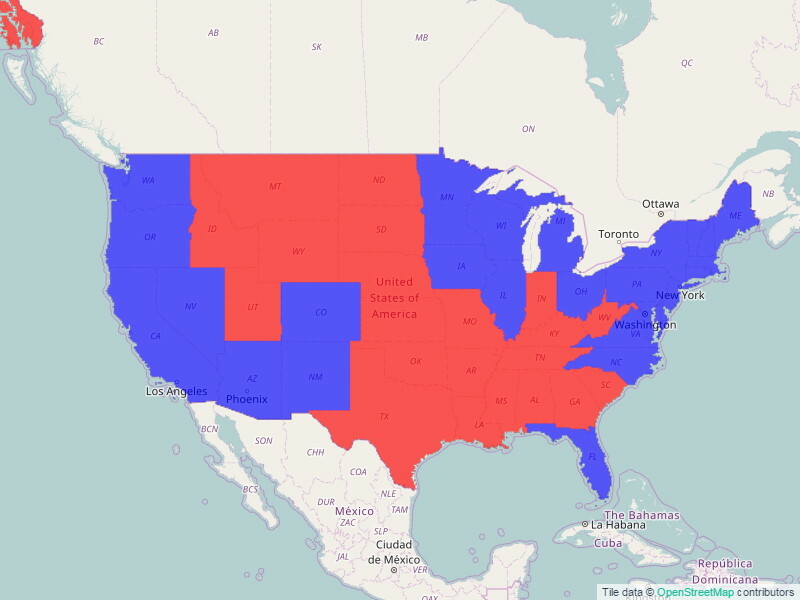 This example shows how to add isolines to a map. This example shows the variations that are available for line features. 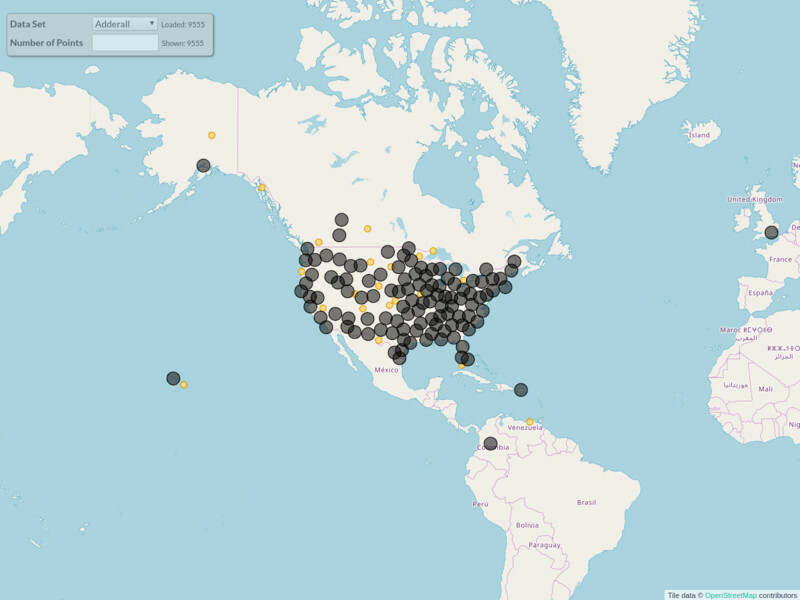 This example shows how the widgets API can be used to place elements on top of the map. This example shows how to use a pixelmap feature. 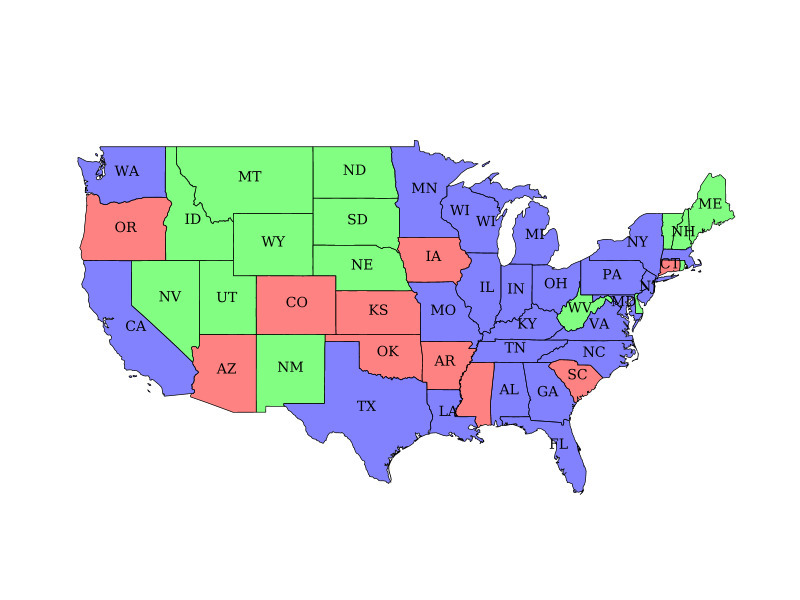 The pixelmap colors areas based on an index derived from an image and some data per index. 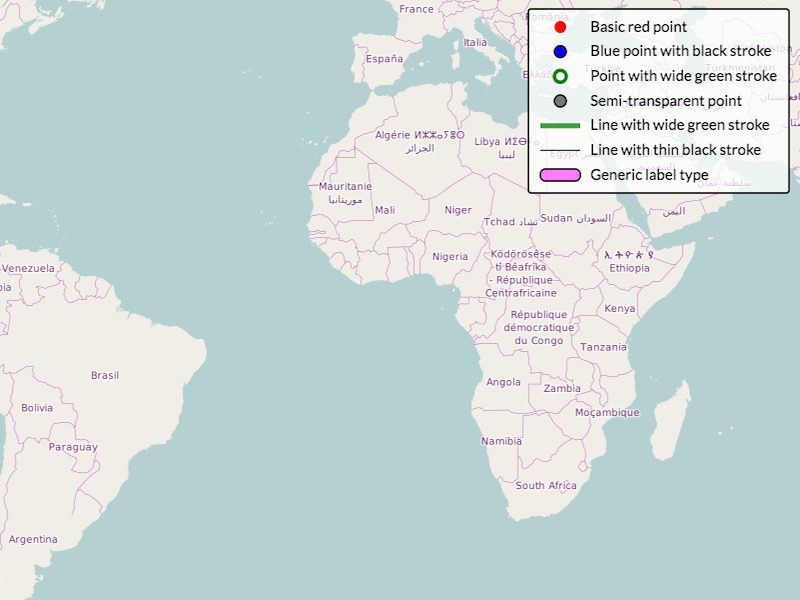 This example shows how to add polygons to a map. 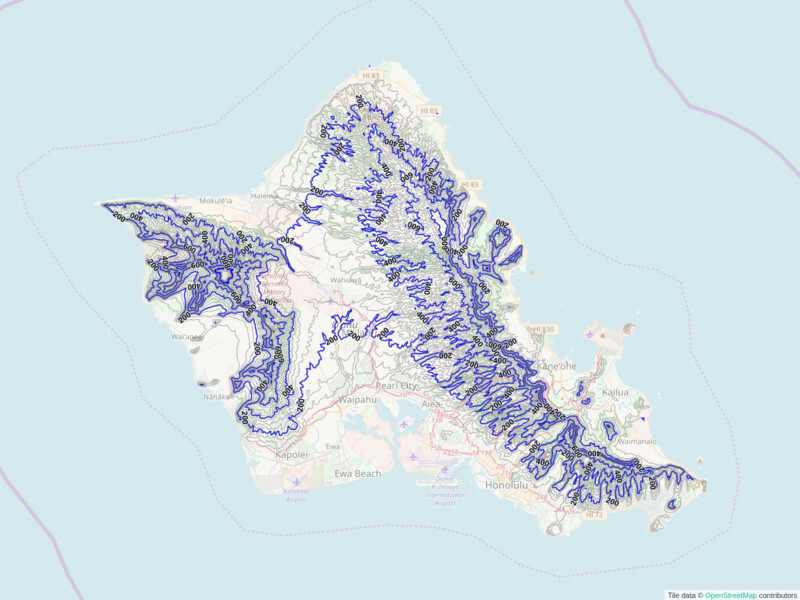 Show isolines and contours of annual precipitation totals in the United States and nearby areas. 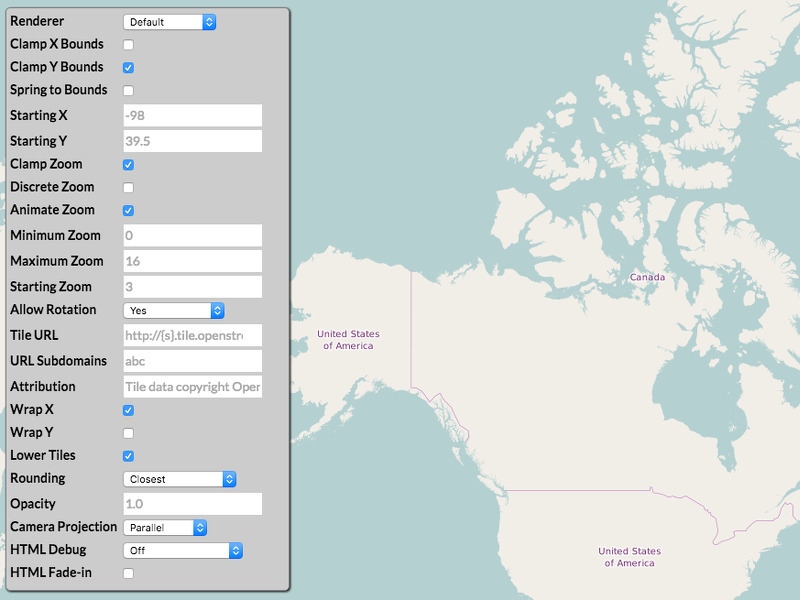 Rendering tiles from a WMS server by customizing the tile URL of an OSM layer. 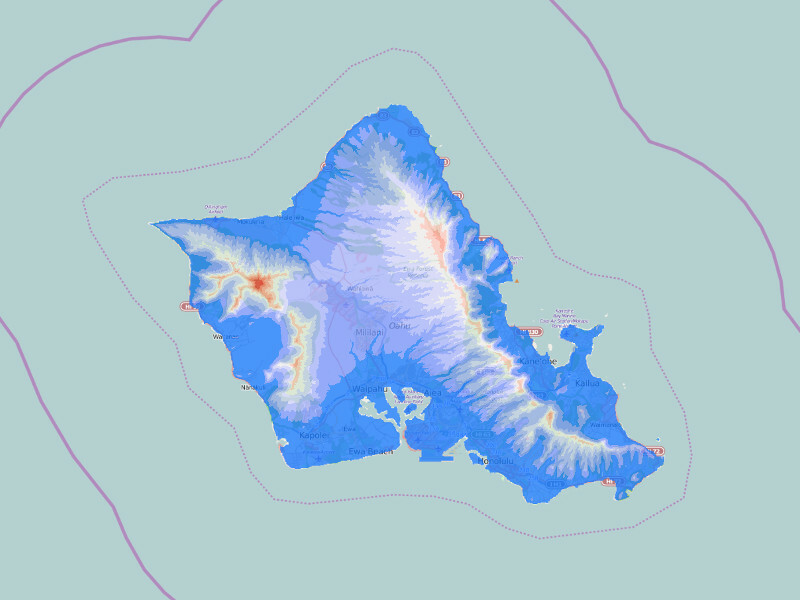 This example shows how you can reproject tiles from one projection to another. 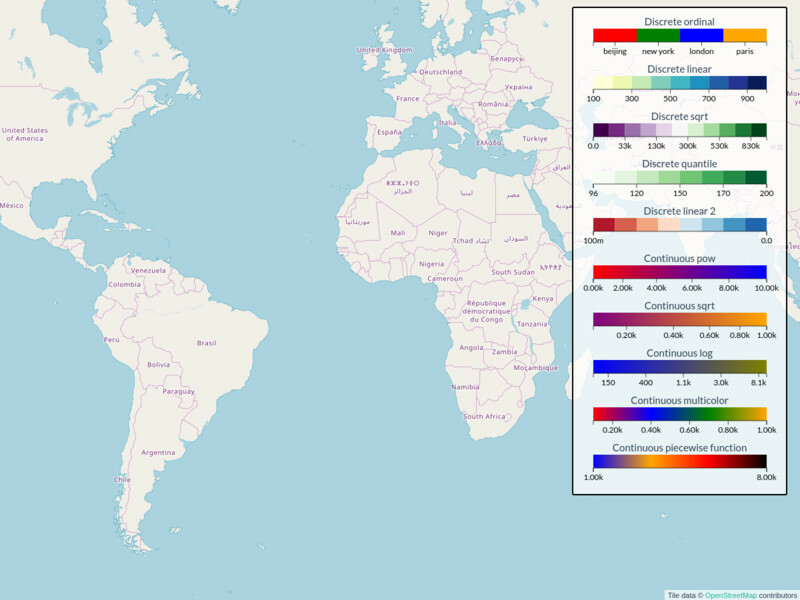 The source tiles are in Web Mercator (EPSG:3857), but can be drawn in many different projections. This example provides controls for changing many options on tile layers. The code and query parameters allow even more options to be adjusted. 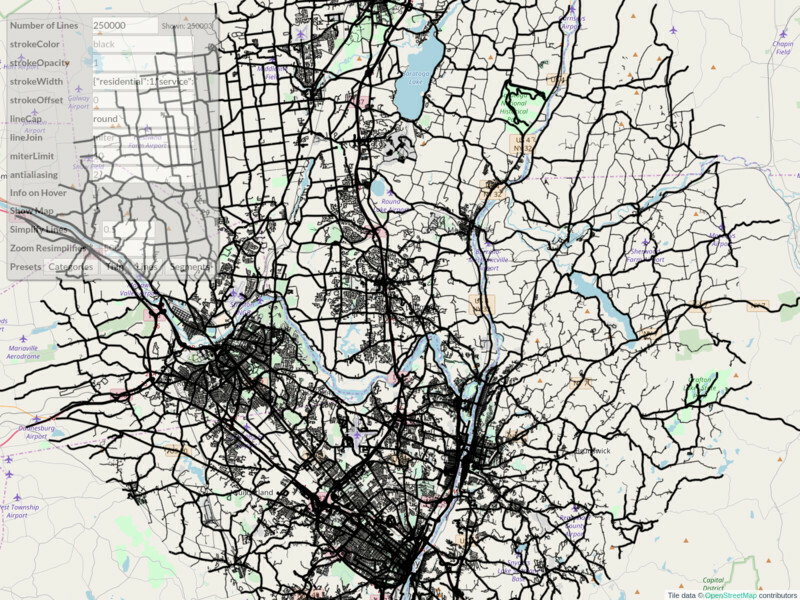 Using animations to transition between points on a map.